To no apparent fault of their own, Chad Griggs and Cyrille Diabate have been demoted. The light heavyweights have been removed from the pay-per-view portion of UFC 154. The 205-pounders will now appear in the card’s prelims, which airs live on FX at 8PM ET/5PM PT. Middleweights Nick Ring and Constantinos Philippou received the bump to the main card. Ring’s Canadian roots likely played a role in the switcheroo. 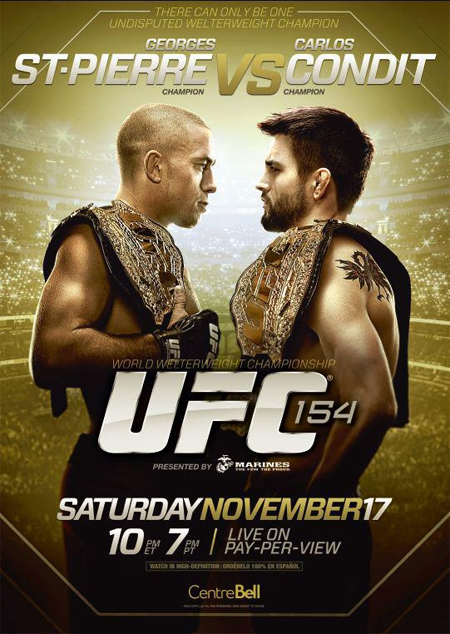 “UFC 154: St-Pierre vs. Condit” takes place November 17th inside Montreal’s Bell Centre.